These are the friendly folks who work day-in and day-out to help you create the safest and highest performing playing turf for your fields! You will always get a person when you call – not some A.I. robot voice that keeps mis-hearing your instructions. 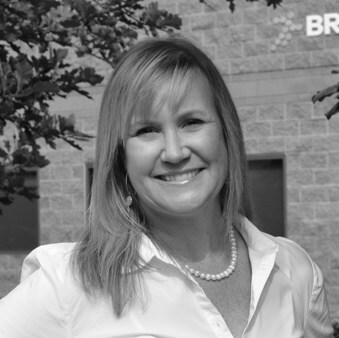 Julie joined the Brock team in 2017 after relocating from Texas to Colorado. 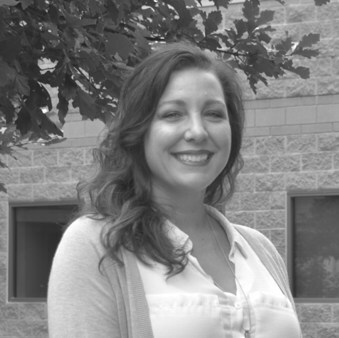 Julie plans and manages seminars, tradeshows, and company-wide partnerships. 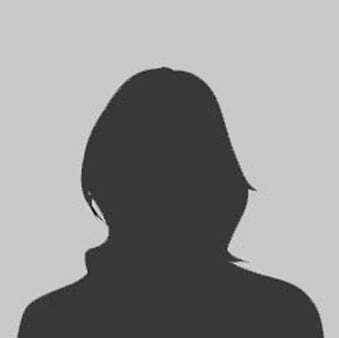 In addition to being part of the marketing team, she also offers sales support and campaign management to the national sales team as well as handling sales for the Colorado territory. As a former Division 1 athlete, Julie loves working in the sports industry and promoting the safer sports message. Julie enjoys hiking, camping, and running with her husband Jeff, their rescue dog, Hanna, and Siberian Husky, Jasper. Kelsey started as an Intern in 2017, and was later promoted to Social Media Specialist. 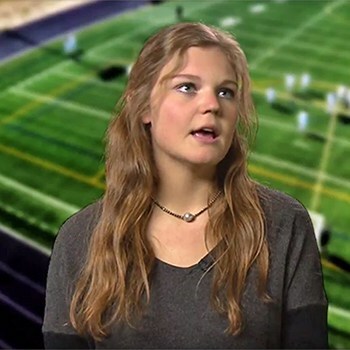 She is a current student at the University of Colorado, studying Strategic Communications and Media Production. Kelsey plans social media posts, writes blog articles, and doubles as the official pet-sitter for Brock USA. In her free time, she enjoys running, playing soccer, and photography. She can be reached at kmullins@brockusa.com. Mark began working as a consultant for Brock USA in 2017, helping with financial forecasting and strategic managerial reporting. 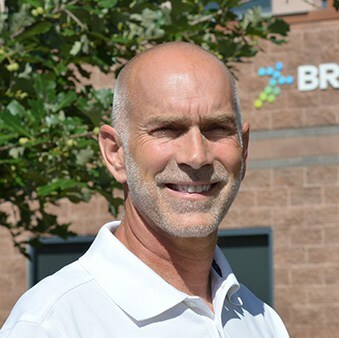 Mark’s background in manufacturing, distribution, and logistics made him a perfect fit for Brock USA, and he was brought on full-time as the CFO and VP of Administration in early 2018. Mark enjoys skiing, traveling, and playing sports with his wife, Rachel, and two kids (4 and 7). He believes having a good sense of humor is key, and likes listening to podcasts and stand up comedy. He can be reached at 303.994.8994, or mbuckley@brockusa.com. Derek primarily deals with pad testing, infill testing, turf sample testing, and shipping. 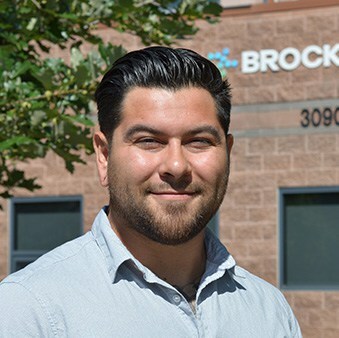 He joined Brock because the work environment was a good fit, and he felt his opinions, work, and independence would be valued. 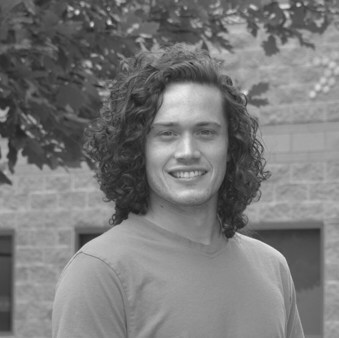 Derek has a Bachelors in Mechanical Engineering with an emphasis in Aerospace, and a Minor in Math. His previous professional experiance includes design, metalworking, and design invention firm work. He enjoys reading, camping, and rock-climbing in his free time. In rock-climbing, there is a huge emphasis on safety and safety equipment, and Derek believes everyone should be able to be safe and do what they love. He feels passionately about improving surfaces to help protect young athletes. Tom joined Brock in 2018 after relocating from Houston, Texas. He has a PhD in Chemical Engineering from the University of Texas, and prior professional experience in plastics engineering at Dow Chemical. Tom likes the work environment at Brock, and is excited to help make safer surfaces for kids to play on. Having two daughters of his own makes this mission especially important to Tom. In his free time, Tom enjoys woodworking, and looks forward to doing more outdoorsy activities now that he is in Colorado. He can be reached at 501-733-0601, or tmurphy@brockusa.com. Scott joined Brock because of his shared passion for excellence in play and sports. He enjoys the team atmosphere and culture, and commitment to safer play for children and athletes. He started in the sports surfacing industry almost 20 years ago, and has experiance with estimates, lead development, sales, and management. Scott enjoys running, tex mex, live music, and all things surrounding the Texas Longhorns. He currently resides in Austin with his family. He can be reached at 512-775-1132, or sreeves@brockusa.com. After happily working at Brock for 10 years in a Coordinator Role, Kristin was recently promoted to Director of Customer Happiness. She initially joined the Brock team because she wanted to work for a cool Boulder company that made an impact, and she believed in the product and the people in the organization. Kristin has over 25 years of experience in Customer Service, and strives to make each customer interaction as smooth as possible. She wants people to know the field is a piece of safety equipment, and can be an extension of any responsible safety program. Born and raised in Buffalo, NY, she is an avid Buffalo Bills and Sabers fan. In her free time she enjoys child wrangling, watching shows at the Denver Center for Performing Arts, hiking, skiing, and sipping wine (not in that order). Kristin can be reached at (303) 396-6182. Christina works on the PaverBase line of products from Brock and supports Menards, Home Depot, and Lowes so our customers can build their dream patios. She also assists in the software that makes the buying process easy and fulfills purchase orders ensuring the PaverBase products are available year-round. 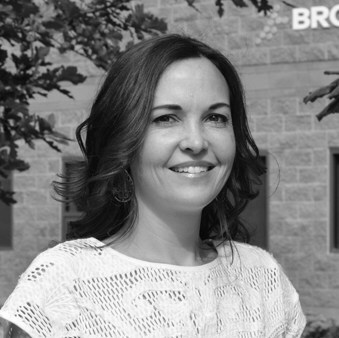 Prior to working at Brock, Christina was a product manager at Trimble Navigation. That career took her all over the world and she simultaneously ran a non-profit organization that provides scholarships to high school and college students in Paraguay. Her caring nature doesn’t stop there. She is also involved in “P.E.O.,” a non-profit that provides scholarships to women in the U.S. and Canada. 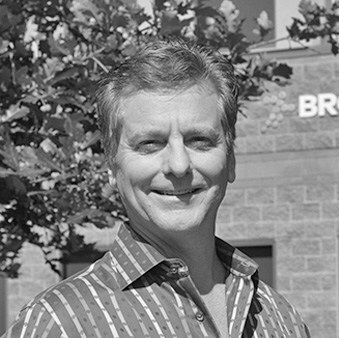 Steve is a co-founder of Brock International and the creator of the PowerBase and PlayBase lines at Brock. He lives in southern California and manages the Brock business for the western part of the US and Canada. 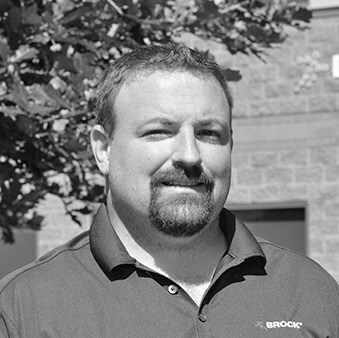 Prior to his move to the US, Steve managed all Brock business in Europe, and brings a wealth of technical knowledge regarding safety and performance standards to the US market. Steve is an avid surfer and environmentalist and a member of the Surfrider Foundation. He can be reached at (310) 753-5160 or ssawyer@brock-international.com. 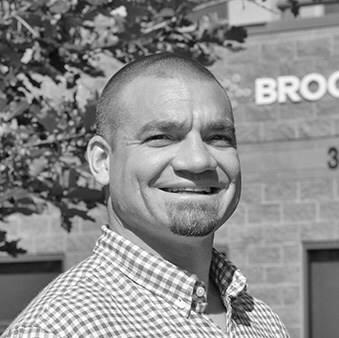 David has represented Brock since 2006 and possesses a wealth of sales and industry experience. A native of Northern California, Dave graduated with an engineering degree from San Jose State and has over 30 years of sales and sales management experience. 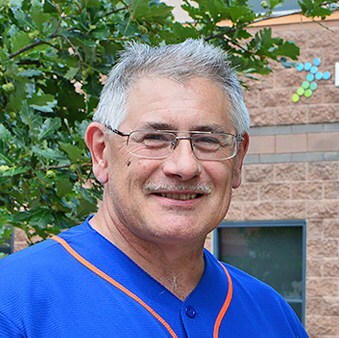 Dave has hands-on knowledge of the turf industry through his experiences as the owner/operator of a turf company and his time as a Project/Construction Manager on 20+ synthetic field projects. 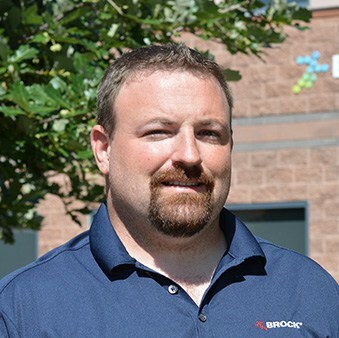 After 20 years in the sports surfacing world—including 12 years in synthetic turf, Eric joined the Brock team in 2015 to represent the Northeast region. Even before his professional sales career, Eric grew up in and around sports, watching his father provide backyard recreational facilities to clients for over 15 years. This shaped Eric’s future in sales from early on. Brock has provided Eric the perfect platform to educate designers and end-users about safe field systems. His two decades of experience in the industry allow him to provide hands-on customer service to each client. Eric stays active playing soccer in his local “Old Man League,” as well as kayaking the lakes and ponds in the Northeast with his wife, daughter, and son. 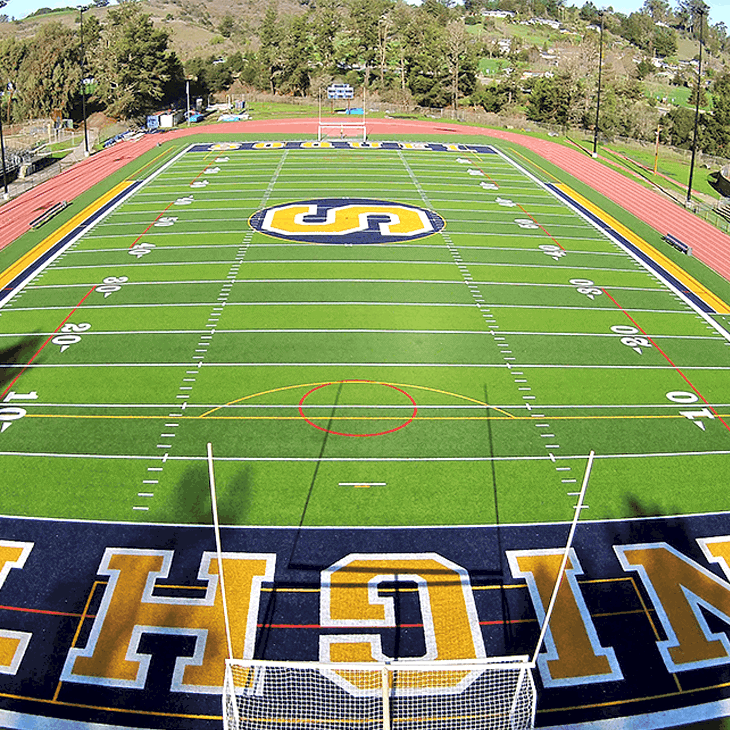 Ronnie is a seasoned professional in the synthetic turf business. HIs passion for the design and construction of state of the art athletic fields comes from both his 13 years as a professional soccer player with the Richmond kickers playing on it, to his roll in developing the mid-atlantic region for highly respected turf manufacturers. His experience covers the entire process from proper design and specifications, to quality construction. “My values are centered around what the customer wants, and my job is to be an educational resource in order for them to achieve their goals”, Says Ronnie. “Because of my “feet on” experience on all types of quality surfaces, I can help owners and designers understand how to get the most value and the best surface for their project. And as a father, I am very sensitive to the idea of field safety.” Ronnie is married to wife Stacy, and they have two children, Tabatha, 13 and Brayden, 7. Jim Froslid was recruited to Brock after more than 11 years in the artificial turf industry. 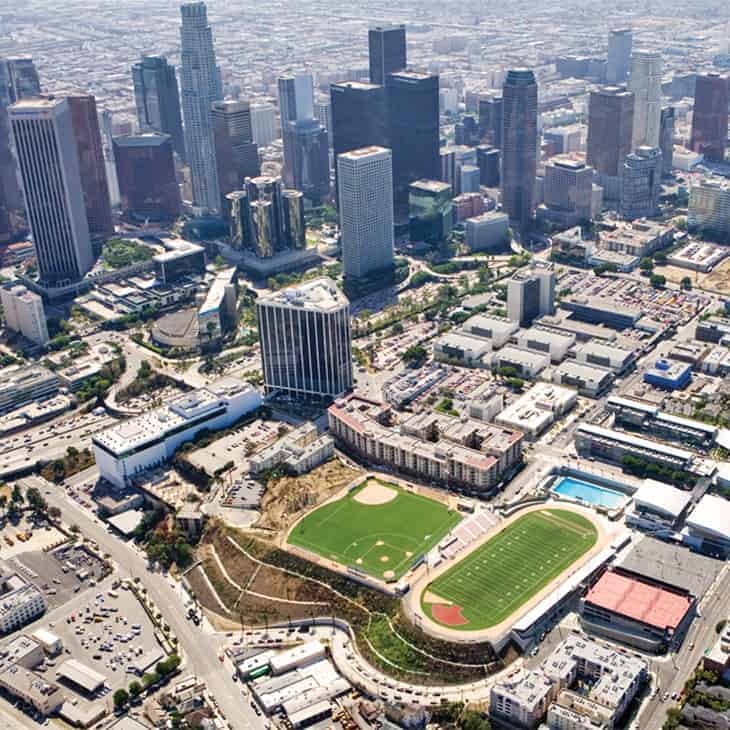 He directed the North American commercial organization of GreenFields, one of the largest artificial turf companies in the worldHe was responsible for all strategic planning, financial management, staffing and customer relations related to sales. He also worked nine years as FieldTurf’s Director of Soccer Development. Froslid has worked for the FIFA World Cup and the US Men’s National Soccer Team to integrate some of their largest corporate sponsorship strategies. Most recently, he served as Chicago venue director for the 2016 Copa America, one of the most profitable soccer events in US history. Froslid grew up in St. Paul, Minn., graduating from Mounds View High in 1985. He went on to graduate from the UW-Madison with a BA Degree in Journalism. At Madison, he was a four-time letter winner in soccer, and played two seasons of junior varsity hockey for the Badgers. Froslid captained the soccer team his senior year, and was named the conference’s most valuable player in 1988. He remains among the top goal scorers all-time at Wisconsin. After college, he played professionally with San Ramon in the Costa Rican first division in 1989. Froslid resides in Glen Ellyn, Illinois, with his wife Heather, and three children. Edgar is responsible for supervising and assisting system installations in the Western states to ensure quality standards. 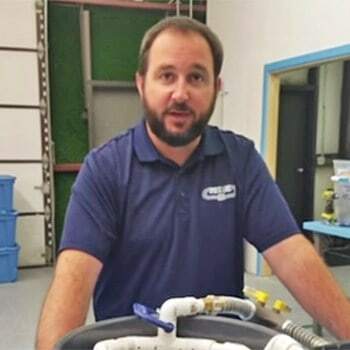 Having been involved in the construction industry since he was 14, Edgar has a knack for understanding the technical process and how to keep installs moving smoothly. He also runs the California Research Facilities for Brock and performs field assessments for Brock customers. When not out on a Brock field, Edgar spends time with his daughter and family or catches a movie. He also enjoys hitting up the California beaches and grabbing a wave or two whenever he gets the chance. The man behind Brock’s Eastern and central installs is John Shaffer. 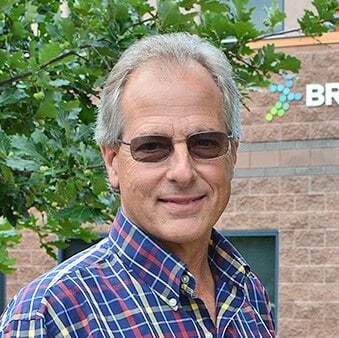 He supervises installations, assists in technical services, and is part of the design and research development side of Brock. John enjoys working at Brock and believes it’s a company built upon morals and ethics that actively works to advance regulations and standards to promote safer sports. John was actually brought onboard to help extend the PaverBase product line, which was a natural fit having worked as a sales manager for Pavestone. In his downtime he loves getting out on the water to cast a line and reel in trophy fish. He also loves traveling with his wife and seeing the country outside of a sports field. He can be reached at 717-819-6885. Upon graduating from UW-Green Bay with a Bachelor’s degree in Journalism and Public Relations he began his career at an enterprise technologies firm in Wisconsin. There Josh helped the company grow and expand its marketing efforts through building a digital strategy and developing their social media presence. He was eventually promoted to Director of Marketing. Upon meeting his future wife, he asked her where she would like to live and she said, “Colorado,” so they packed up and moved out to the mountains. They now spend their weekends hiking the Rocky Mountains, kayaking, participating in triathlons and hanging out with their poodle named Bode, terrier named Chief, and three-legged cat named Ahab. 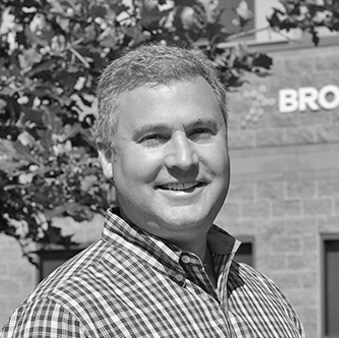 As the Vice President of Engineering, Steve Keyser is responsible for new product design and development, providing the technical interface with manufacturing, and leveraging Brock’s knowledge through outside technical resources. Steve holds a Bachelor’s of Science degree in Engineering from Cornell University and has over 38 years of product development in several industries. 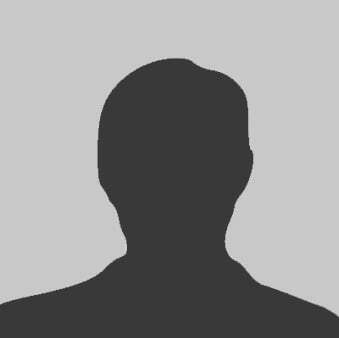 His experience includes some of the biggest and smallest companies in the world; from Mobil, where he worked extensively with plastics for the industrial and food services industries, to Sunrise Medical and IVAT, where he developed and patented new medical devices, to SK Engineering Associates, where he provided product and process development support for clients in consumer and industrial markets. Before coming to Brock Steve ran a recycling company on the East coast. Steve enjoys the outdoors, so Colorado suits him well. He spends his time riding the mountains on his motorcycle and being outdoors. He has backpacked in the Sierras quite a bit and looks forward to hiking in the Rockies. Steve also hopes to get back into skiing and golfing a bit more as he settles in to the Boulder area. 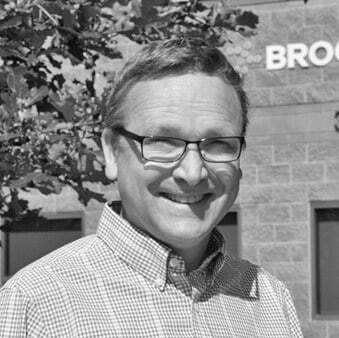 Born and raised in NYC, Dan brings over thirty years of accounting and finance experience to Brock. 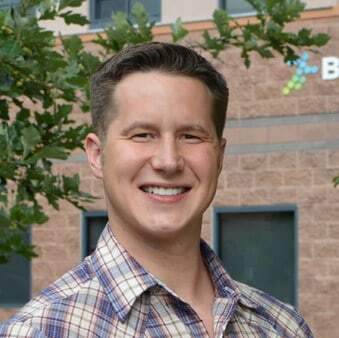 After leaving the banking industry and moving to Colorado, he has successfully worked in the manufacturing industry as well as owning and selling small businesses. Dan can be reached at (303) 396-6199. 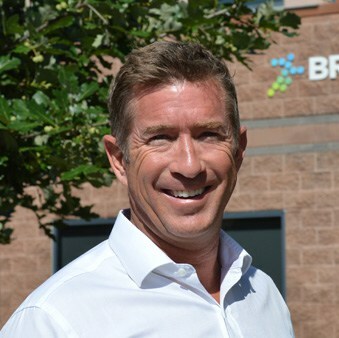 Dan Sawyer – Founder & CEO: Dan founded Brock in 1998 and has been the key creator and driver of many aspects of the company as it has grown exponentially throughout the years. He is a Boulder, Colorado native and a graduate of The University of Colorado. His professional experience includes entrepreneurial positions in several small businesses with a background in sales and marketing management.